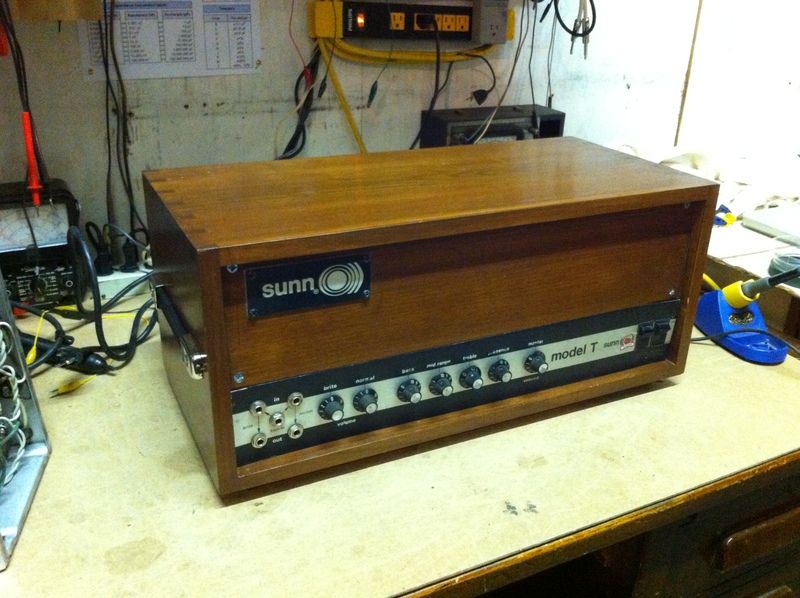 Re-housed 1st generation Sunn Model T from 1973. This is one of the loudest guitar amps. It will make you feel the vibes. 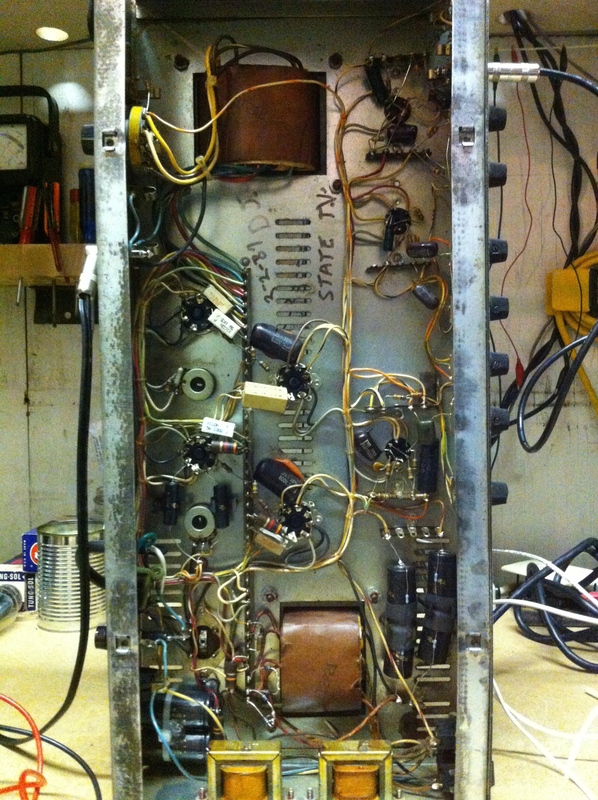 It uses an ultralinear output transformer because the output section is modeled after a Dynaco Mark III, meaning that the screen grid supply is fed through the output transformer as well as the B+ voltage — the output transformer is a dual primary, one for the B+ and the other for the screen grid. Because the screen grid supply and the B+ come from the same power supply node their voltage fluctuates up and down under load together. 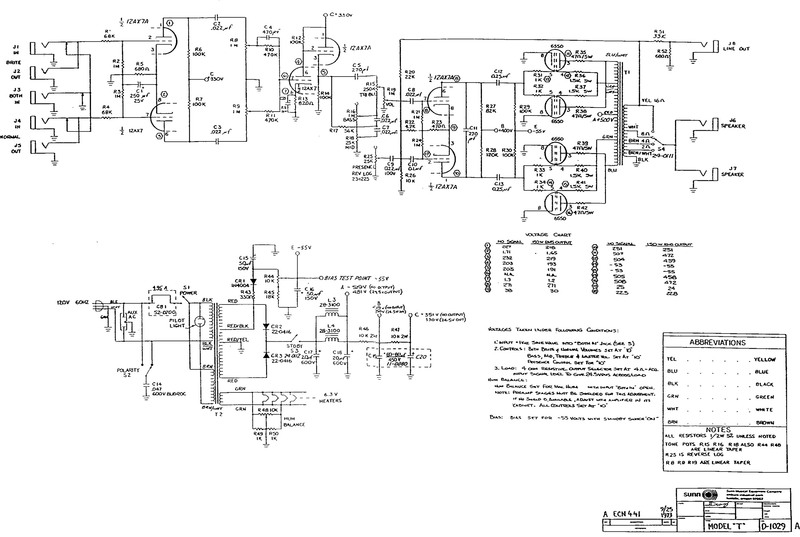 This connection provides some feedback between the anode and screen grid and has been found to to act in a way that is between pure pentode mode and pure triode mode, with lower distortion than either. Chassis shot complete with State TV autograph from when they presumably serviced this amp in 1981 (or is it 1987?). The transformers towards the bottom are two paralleled chokes used in the power supply between the reservoir cap and the B+/screen supply node. 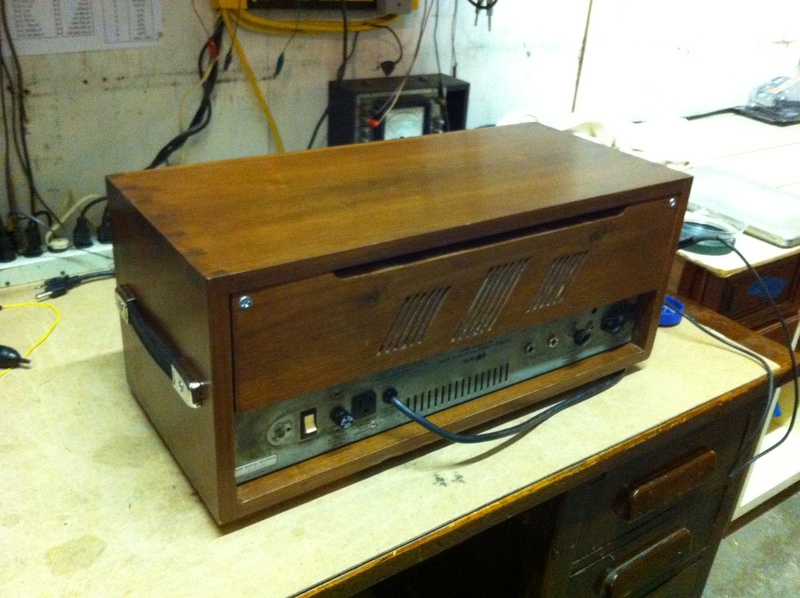 Two trim pots are mounted to the chassis near the power tubes for bias and hum balance adjust. Back panel shot and although you can’t see it in the pic, the impedance selector switch for this amp has selectable 2, 4, 8 AND 16 ohm settings. Can really do it all and I can’t recall another amp that has all 4 of those ranges selectable.